We arrived to Scarlett and Shawn’s wedding in the early afternoon, the sun was high, as was the humidity. Scarlett was everywhere in her pink silk robe putting the finishing touches on her wedding day! 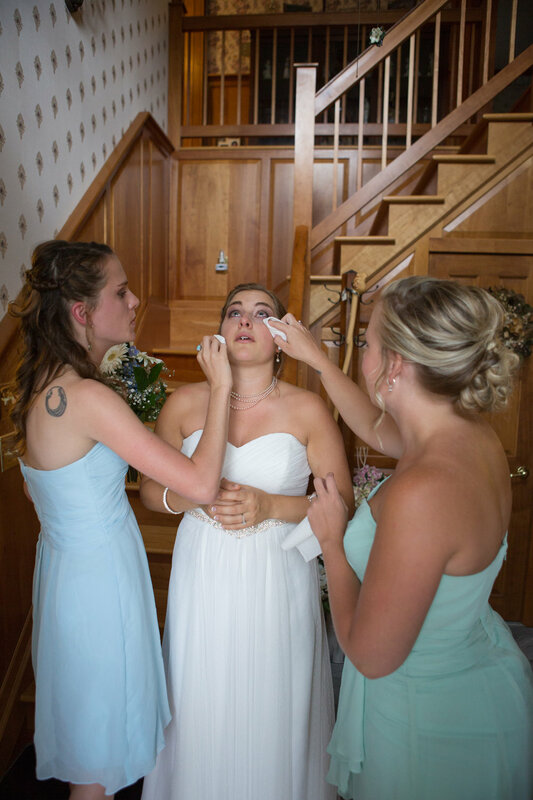 She led us upstairs to her mom’s room where her bridesmaids were getting ready. 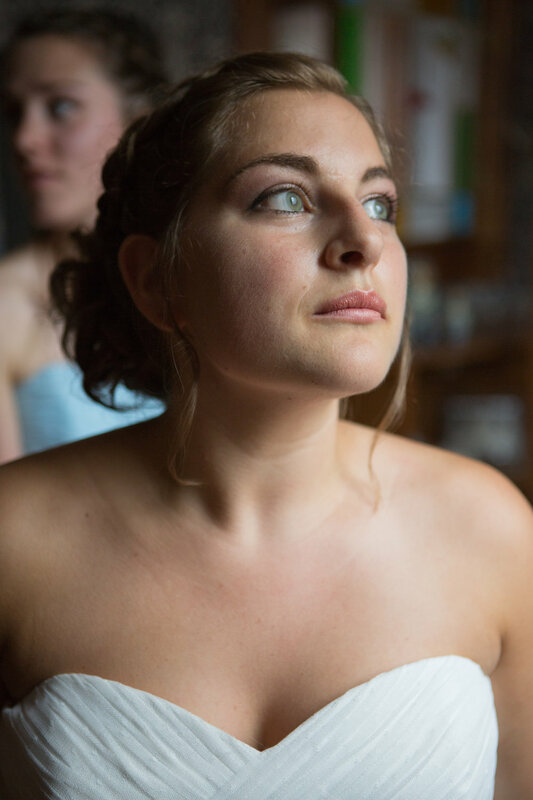 There were many meaningful, personal touches that she chose to include in her day. 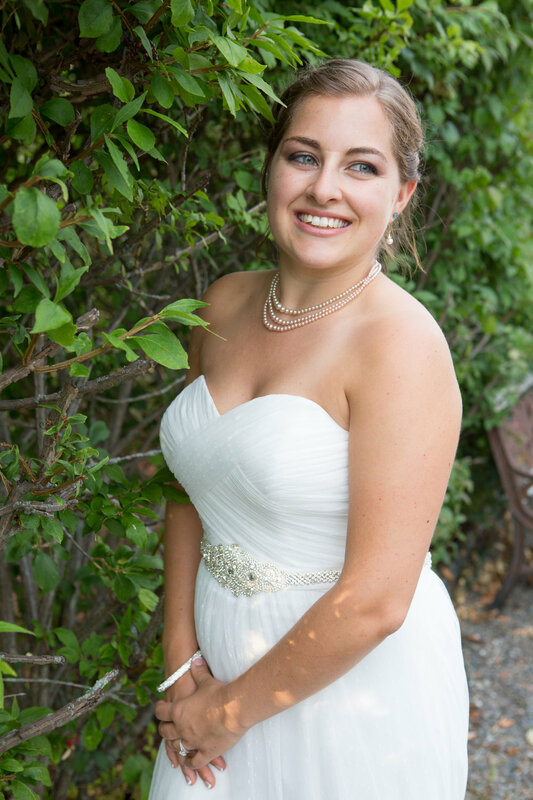 Her jewelry being one -she was deciding which pearls she wanted to wear with her dress. 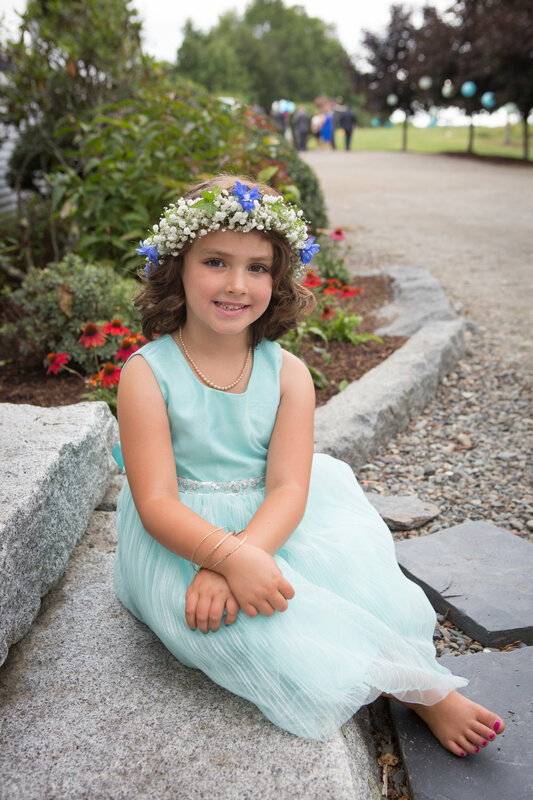 She explained that both options were 3 to 4 generations old on her dad’s side, & her garter was made by her cousin Amy using fabric from her dress. The girls shared make-up and spritzed each other with perfume sharing jokes & lipstick. When the time came for Scarlett to put on her dress, she and her girls gathered in the sitting area of her mom’s bedroom. Her sister, Krystal, helped her put on her garter -laughing as they did so. 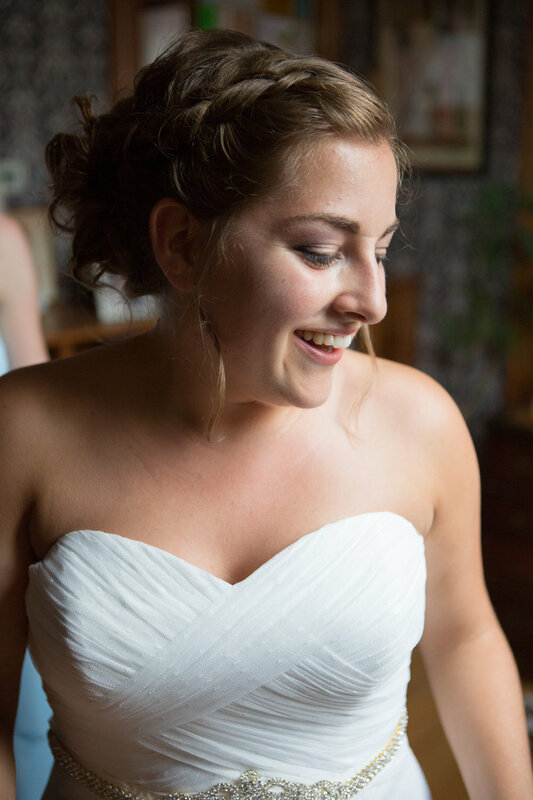 With the help of her mom, sister, and maid of honor, Denise, Scarlett stepped into her dress-glowing with happiness. Scarlett had her niece, Elaina help her clasp her earrings. She had her Bridesmaids - Lauren and Stefani pin her veil into her hair. With a little twirl, and some help tying her bow she was ready to go! The girls passed around mouthwash. They jokingly said they were “pre wedding shots.” They shed a few happy tears before making their way downstairs -Scarlett was ready to become an Ouellette! The whimsical decorations were inspired by the film “Up”- the first movie Scarlett & Shawn watched together. There were blue and green balloons in the garden and paper lanterns hung from the trees. Balloons lined the aisle, leading the way to the wooden terrace which was serving as an alter. The terrace had soft white lights blanketing three sides and tulle looped around from the top-we loved this look! 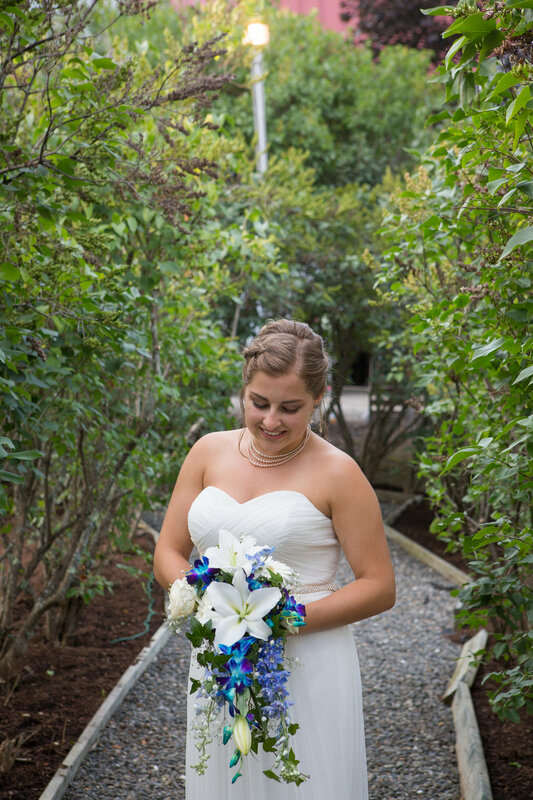 It created a beautiful, romantic setting for Scarlett and Shawn to exchange vows. Guests filled the seats. Shawn walked down the aisle to await his beautiful bride. He had a grape soda cap pinned to his lapel. It was a gift from Scarlett with a little note that said, “we’re in a club now.” Which was another reference to the film “Up”. The groomsmen led the bridesmaids down the aisle. 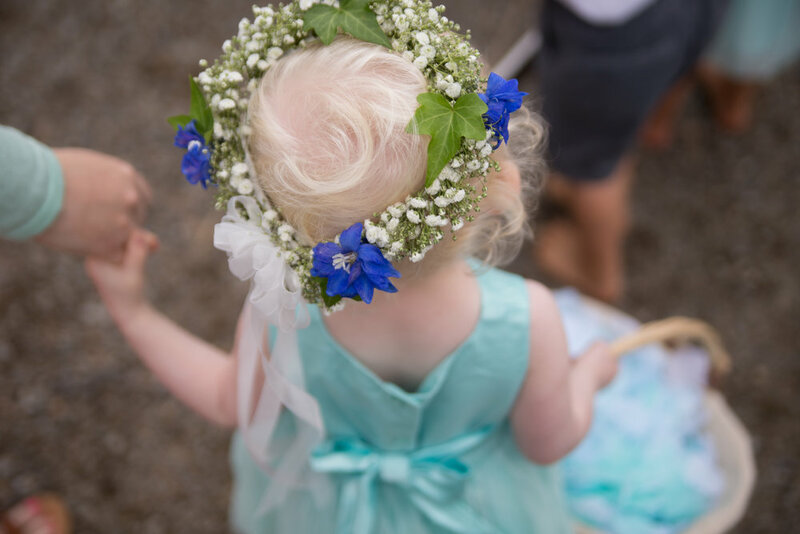 The ring bearers came: one holding the rings on a white pillow and the other a sign saying, “Here comes the bride.” The flower girls followed tossing blue and green flower petals from their baskets. As guests stood for the bride, Throne Room from Star Wars, came through the speakers -a tribute to her dad- and Scarlett escorted by her two older brothers, Ethan and Matthew- began their way to the alter. 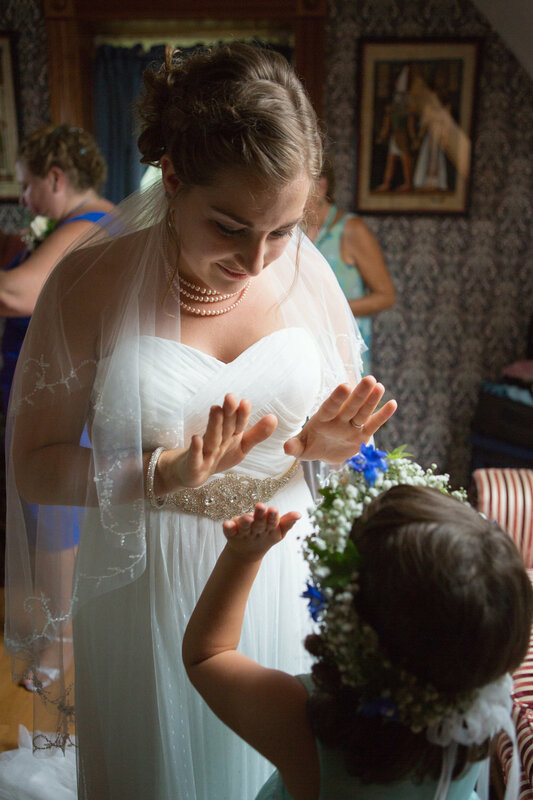 Once Scarlett and Shawn were united on the terrace, the officiant began by saying that Scarlett’s dad Peter was watching from up above, he had everyone wave to Peter. What a special way to include her father on this magical day. As he continued his introduction, he had Scarlett and Shawn’s moms come up and each light a candle. The candles flickered as Scarlett and Shawn exchanged vows. Scarlett went first, and through a few tears, she solemnly swore to inspire and love truly- in good times or bad. She said, “I will be with you forever to laugh together, to support you and encourage you on our journey of marriage.” She ended with a reference to Harry Potter, “I will stay with you until the very end. Always.” The couple smiled at one another before Shawn began his vows. He shared that Scarlett had a smile that caught his eye and he knew he had to ask her on a date. He concluded with, “I promise to always take care of you, to always make you laugh and most of all to always see you and make you smile.” After they finished their vows, they exchanged rings, which the officiant explained is an emblem of eternity. They moved to the flickering candles. Using each of the candles their mothers lit, the pair lit their own candle - a symbol of their union together. 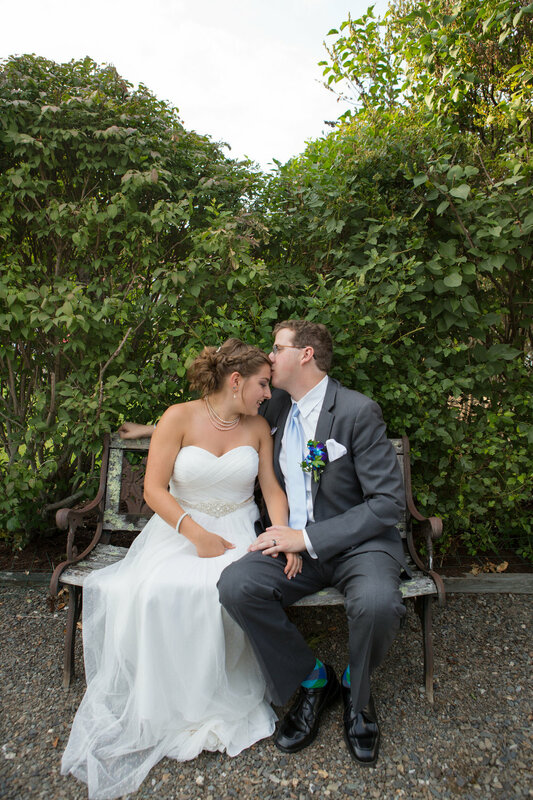 The couple closed the ceremony with a kiss before being pronounced Mr. and Mrs. Ouellette! After the ceremony, Scarlett, Shawn and Scarlett's family headed to the cemetery. They were going to see Peter, Scarlett's dad. 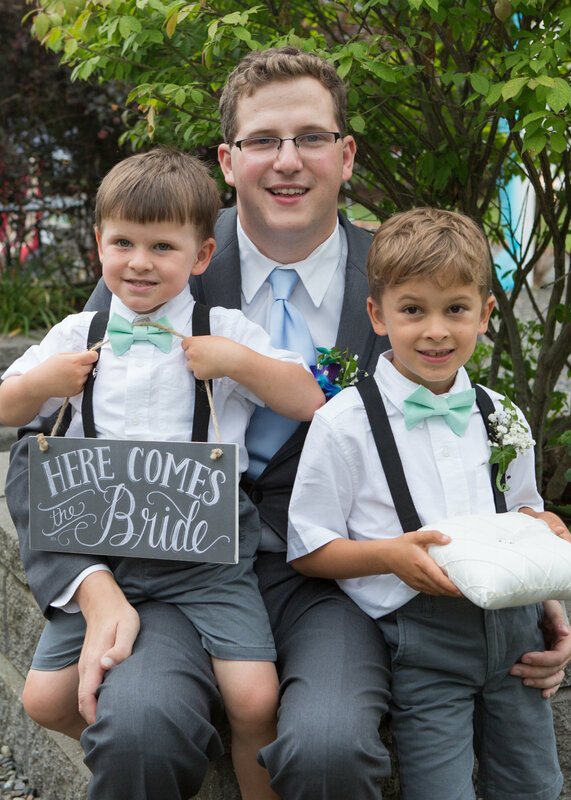 Once they got there, a thoughtful -tear jerking- letter Shawn had written to Peter was sitting on top of his headstone along side a beautiful bouquet of flowers that matched the wedding colors. Shawn had snuck up to the cemetery early to leave the flowers & letters. “Thank you for creating such a wonderful wife for me.” Shawn wrote. The whole family shared a few words and hugs before Scarlett read the note she had personally written for her dad. Through tears, she shared how he was her favorite fishing partner and that she still remembers that 12 times 12 is 144. It was a sweet, heartfelt moment with her closest family and husband. Scarlett- we cannot express to you how honored we felt to be a part of such an intimate family moment and we thank you for trusting us in capturing this for you. Shawn- witnessing your bride finding that letter you wrote to her father was one of the most amazing wedding moments we have ever been apart of- it blew everyone away. Scarlett and Shawn shared the best kind of love in their photos- so true and comfortable in each other's arms. You could really tell that these two were best friends and shared a special bond. They knew what to say to get the other to laugh in photos, but also it seemed, at times, they were so wrapped up in each other - they forgot they were being photographed at all. 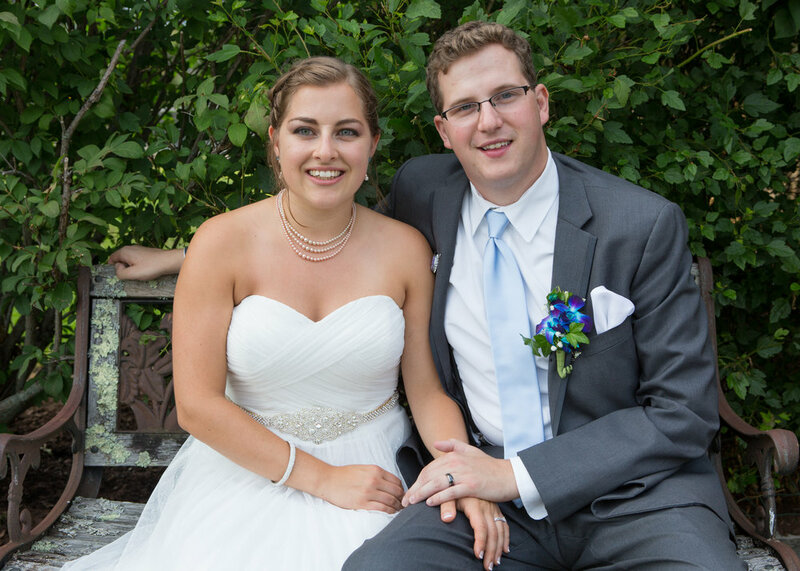 The new Mr. & Mrs. Ouellette were full of smiles as they entered their celebration! They went straight into their first dance. They were so sweet as they held each other close singing to one another. Scarlett and her mother stepped onto the dance floor next. They were having a ball! They were so upbeat twirling around and laughing with one another. Their laughter echoing in every nook of the tent. Their interactions showed what a close bond they had. Next, Shawn and his mom danced close with their arms wrapped around one another. It was very sweet, as they held each other swaying to the song. They would occasionally pull away and whisper something to each other causing the other to break into a smile. They wrapped up the special dances with an anniversary dance. The couple on the floor the longest was 50 years of marriage!! Scarlett and Shawn were ready to cut their cake. They gently sliced into the bottom tier, looked into one another’s eyes and smashed the cake in each other’s faces! We had a slight feeling this would happen! :) They were laughing as they helped each other wipe cake and frosting off their faces. They were having a blast sharing a -literally- sweet moment! Everyone headed outside to watch fireworks that were being set off by the Bride and Groom’s families. They put on a massive show with a variety of different kinds. The guests were in awe while they watched the thunderous displays of color explode in the sky. After the fireworks were over guests lined up in two rows with sparklers, Scarlett and Shawn danced their way down between the row as Taylor Swift’s “Sparks Fly” played from the DJ booth. Sparklers illuminated their happy “just married” smiles. Ellie, from "UP", said it well- “adventure is out there.” We hope your love is as wonderful and adventurous as Carl and Ellie's! Here is to all your adventures as Mr. and Mrs. Ouellette! 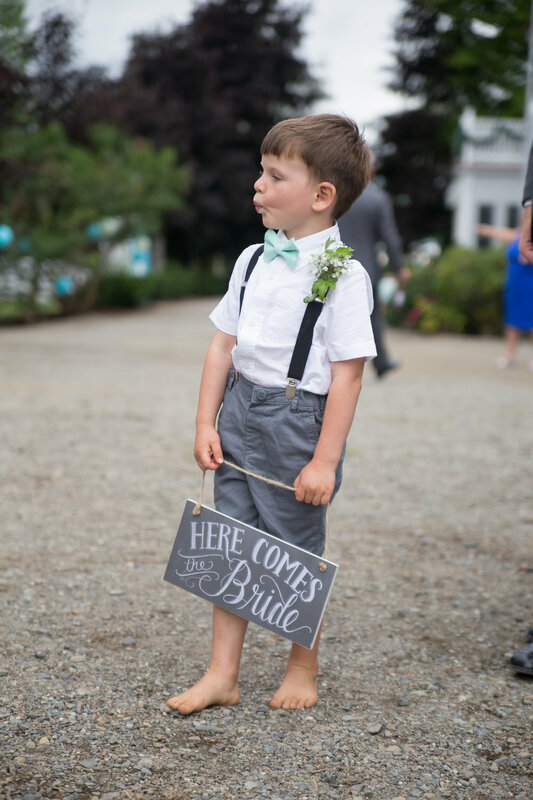 Thank you for sharing your big day with us, we had a blast!